Just as globes play an important role in public and private school classrooms, they are equally as important in home school classrooms. If you’re a homeschooling parent, here are some ideas for decorating with globes we think you’ll find very attractive. For teaching world geography, the GeoSafari Talking Globe Jr. would be a better choice. 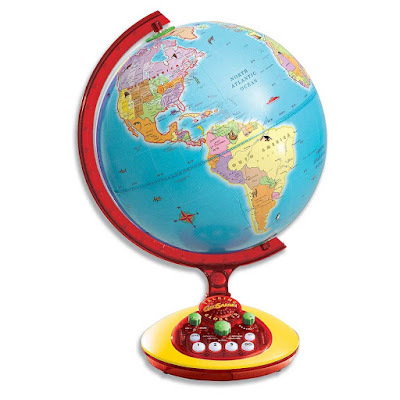 This globe features a number of facts about countries throughout the world, their landmarks, and cultures. It even comes with its own interactive quiz game, which is perfect for times when you’d rather allow your kids to explore learning on their own. If you’re looking for a globe that will also help you teach science, the Replogle 10-inch Illuminated Desktop Globe would be perfect. By turning on this globe, children can explore everything from undersea aquatic animals to active volcanoes. Use it along with an oversized aquarium, 3D models of mountains and volcanoes, or pictures of animals. It would be ideal in a classroom that contains maps on the wall or framed photographs of iconic landmarks such as the Eiffel Tower or Statue of Liberty. To provide perspective on how the earth looks from outer space, use the Earth by Day and Night Globe. 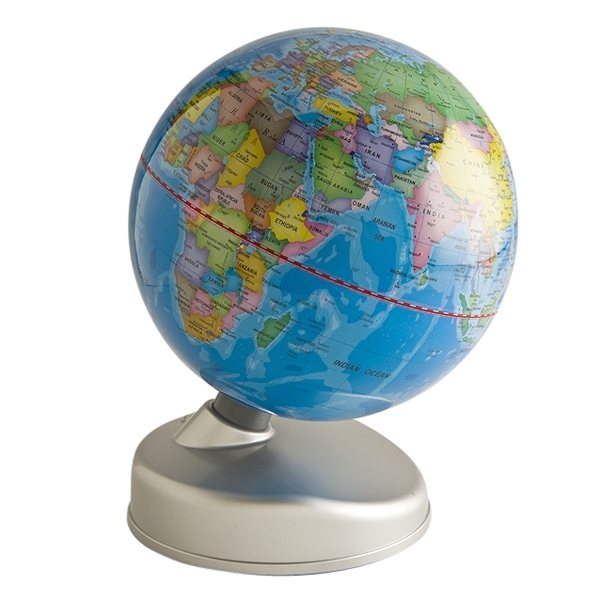 This nine-inch interactive globe offers a daytime function that allows you to identify various countries and their boundaries. When switched onto nighttime function, it provides a look at city lights throughout the world as they are seen from space. This feature is ideal for explaining where large populations of people are located. This would be the perfect accent for a classroom decorated with glow-in-the-dark stars and planets. Earth by Day and Night Globe. 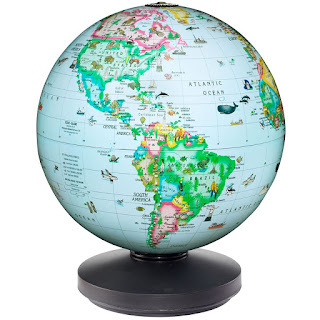 These are just a few of our globes that are highly practical for homeschooling families. To see our entire collection, please contact us.